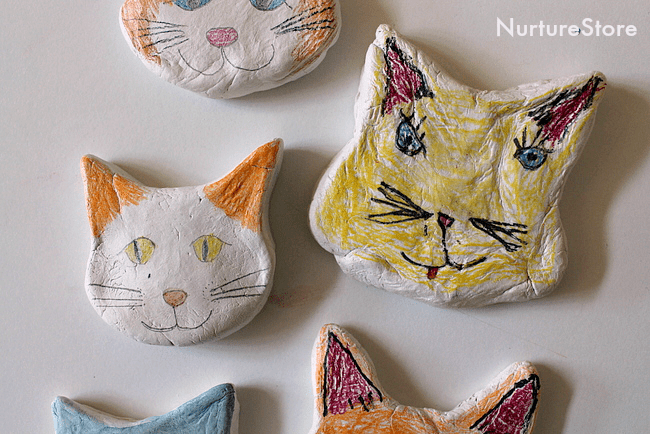 Purrfectly cute clay cats are easy to make from air-drying clay. 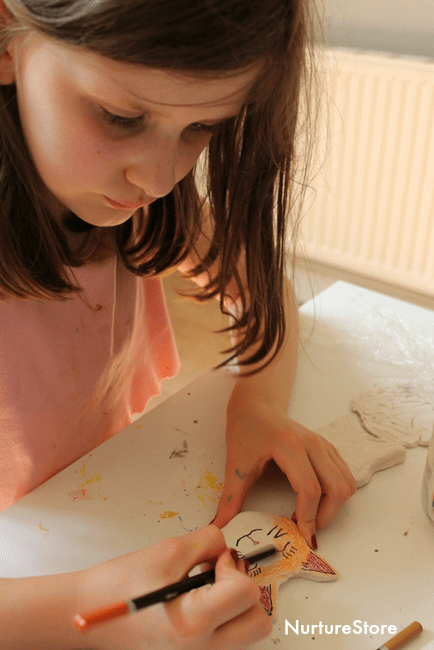 Clay is a wonderful material for children to use to make and play with. 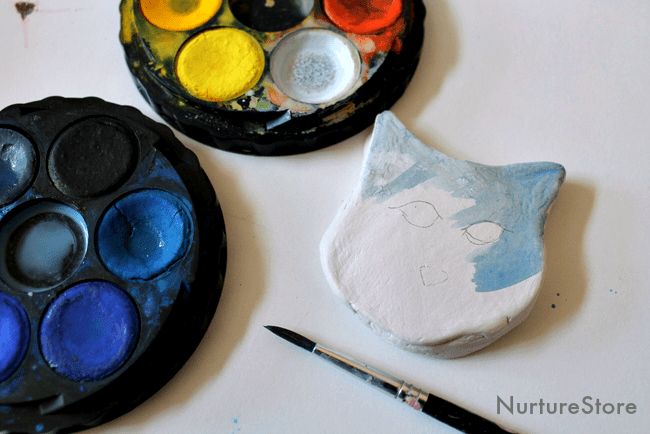 Touchy-feely and easy to mold, an air drying clay doesn’t even need baking – and it takes pencils and paints well to create this super cute cat craft. Miss 10 and our cat are best friends. While the cat is highly suspicious of everyone else in the family, she loves Miss 10 and sleeps on her bed every night. In turn, Miss 10 adores her and everything cat-ish. 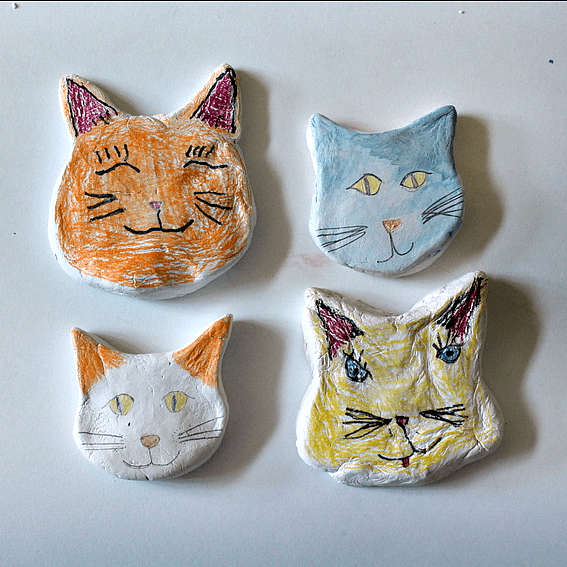 So when we had some clay left over from an art workshop, she decided to make some little clay cats. 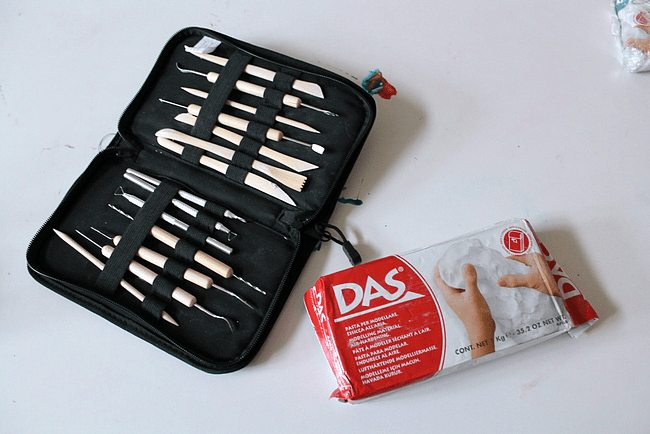 I think the DAS brand is the best type of clay to use with children. It comes in white and terracotta, and it’s an air drying type of clay, so you don’t need to bake it or fire it. This makes it a great clay to use at home or in a classroom. You can order it from Amazon. We also like this set of clay tools (from Amazon) which has a great selection of tools that you can use to make all sorts of marks and patterns. 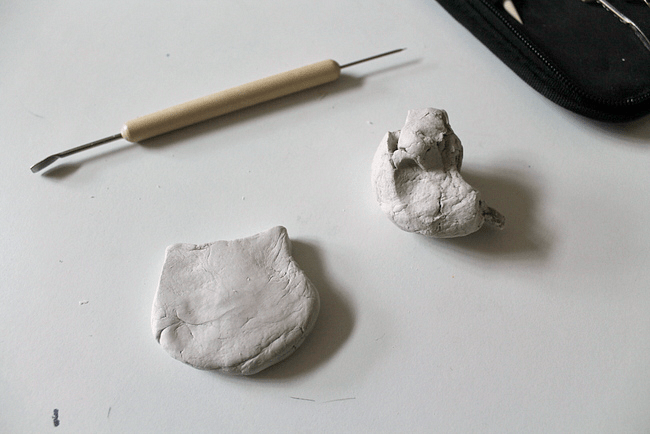 For each cat, we took a piece of clay that fitted nicely into the palm of our hand and squished and squeezed it to warm it up and make it flexible. 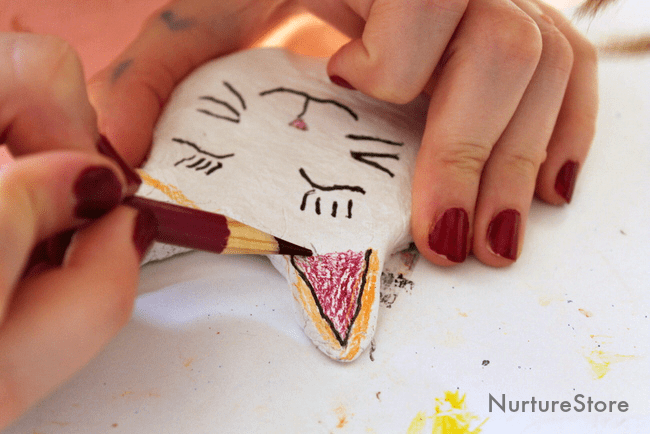 Working with clay and play dough are super workouts for fine motor skills and really help children develop strong and flexible fingers and hands. 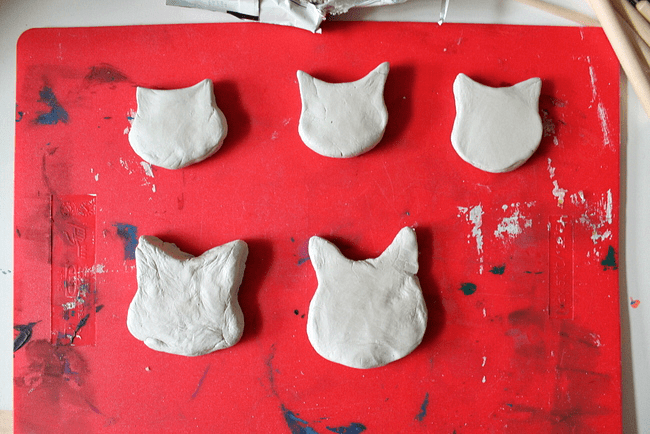 We formed each clay ball into a simple cat shape. We used our fingers and a small rolling pin to flatten each piece and smooth out the surface of the clay. Then you need to leave your clay cats to dry. Depending on how big and thick they are, and how dry and sunny it is, you may need to leave them over night, or even for a day or two, to dry our completely. Flip them over after a few hours so that they dry on each side. 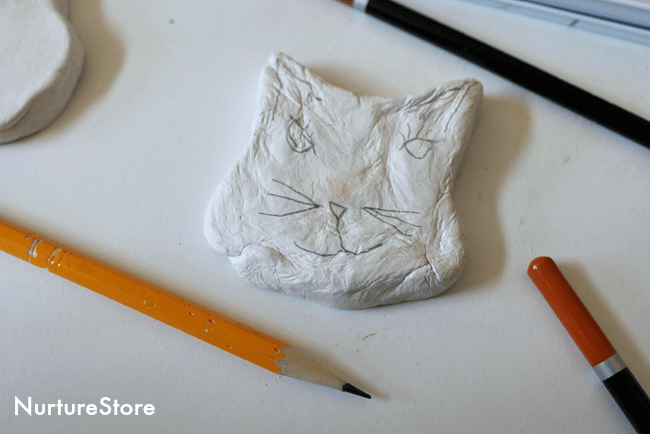 Once your pieces are all dried out, you can decorate them to make your cute cat faces. The clay takes pencils and paints well. You might like to sketch out your cat’s face in pencil first. This is when you start to see each cat personality appear! Then use pencils to add fur, noses, mouths, whiskers and don’t forget those eyelashes. You could also try watercolour paints. We found it great to paint on the fur but preferred to use pencils to add the fine details like eyes, mouths and whiskers. Aren’t they lovely! 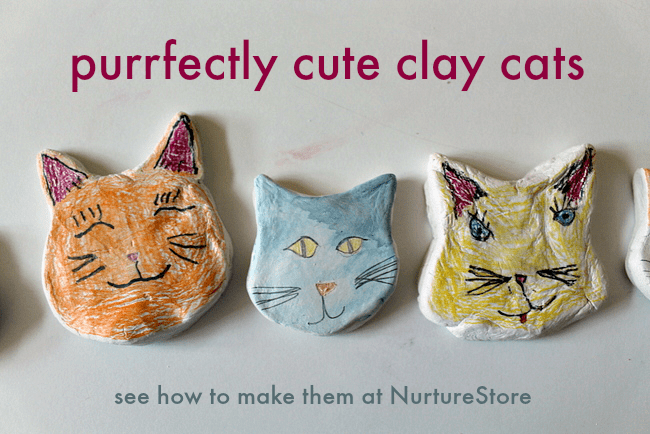 Purrfectly cute clay cats, all with their own quirks and personalities. Ours have taken up home across our kitchen window and they make me smile every time I walk in the room. I think you could also use a glue gun to add a brooch pin onto the back of each face to make a cute cat brooch. Shall I send you my weekly Play Planner to keep you updated on all the arts and crafts ideas I share here? Pop your email address in the box below and I’ll send it to you.